Gallery of photos taken on our Tauck Grand Alaska Tour in July 2010. Bald eagle. 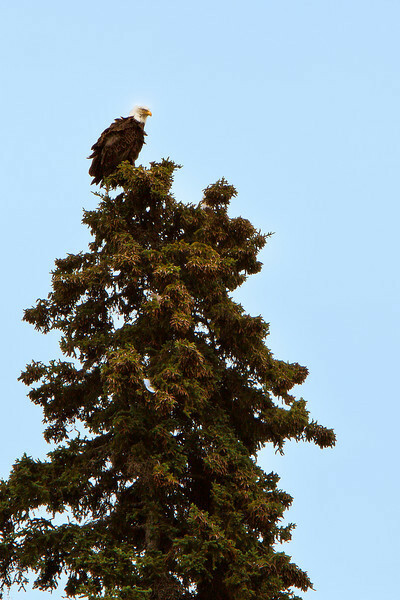 We all spotted this bird on our jet boat excursion on the Talkeetna, Susitna, and Chulitna Rivers.